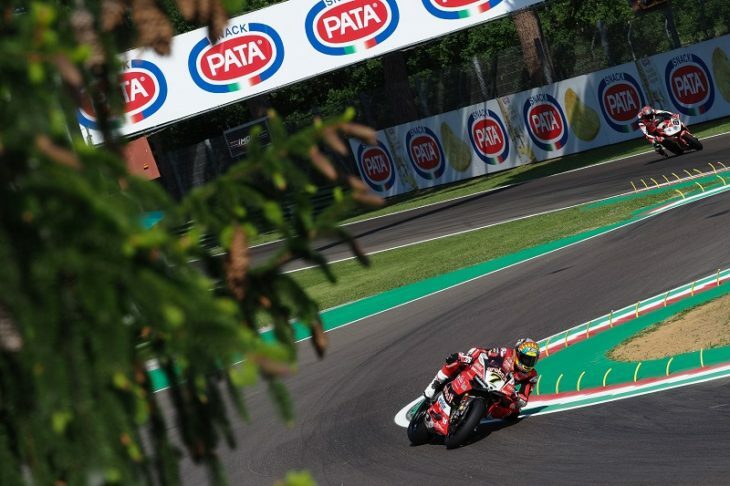 It was shaping up to be a Free Practice treble by Jonathan Rea (Kawasaki Racing Team WorldSBK) at the end of the third session at the Autodromo Internazionale Enzo e Dino Ferrari di Imola MOTUL FIM Superbike World Championship took to the track on Friday. The three time World Champion had dominated the first two sessions and was on course to taking the third, before a final flying lap from Chaz Davies (Aruba.it Racing – Ducati) left both men with the exact same personal best. Winner for the last two years here, Davies put in 51 laps over the three sessions which was more than any other rider on track. But it was his final lap – as Rea was already back in pit lane – that shot Davies to the top, a 1’46.686 that perfectly matched his title opponent’s best time. Davies officially takes first place due to his second-best lap (1’46.737) being faster than Rea’s – by one thousandth of a second. Michael van der Mark (Pata Yamaha Official WorldSBK Team) improved throughout the day to take fifth, with his teammate Alex Lowes (Pata Yamaha Official WorldSBK Team) unable to make it into tomorrow’s Superpole 2 directly, taking the twelfth best time. 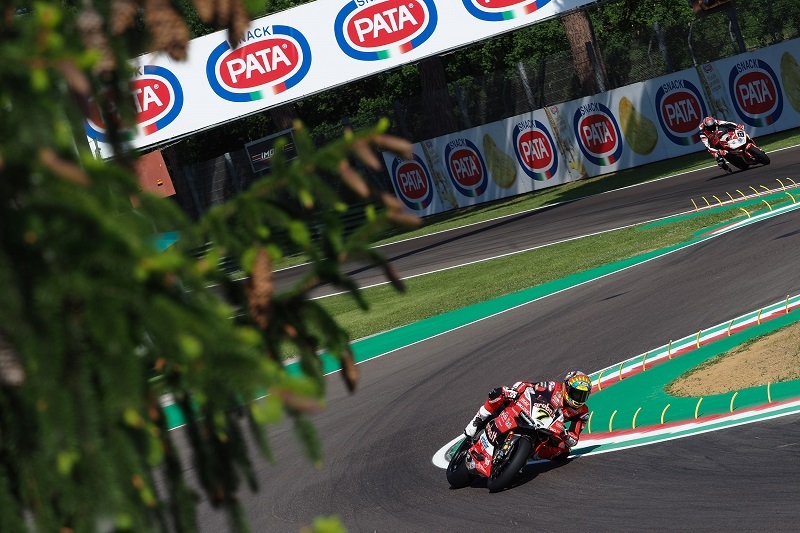 WorldSBK bikes will now prepare for a busy Saturday around Imola, as the bikes take to the track from 8:45LT, before Superpole at 10:30 and Race One at 13:00.